The term Custom Electric Guitars brings out all kinds of terrifying thoughts with musicians as they picture their wallets being set on fire for a guitar that costs twice as much as their car. 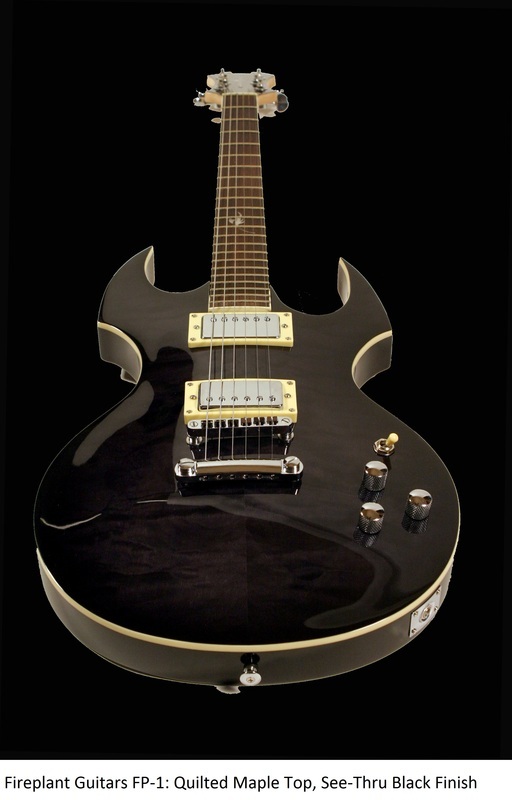 The truth is that Custom Electric Guitars don't have to cost that much. When we launched Fireplant Guitars, we set out to make the best guitar under $1000. Period. Anything over that, we believe, is overkill. Whether you need a heavy metal guitar, one for thrash, black metal, hard rock or even blues or jazz, Fireplant is your best bet for a great, custom electric guitar, especially for under $1000. Slash, Ozzy and Dave Navarro liked our Fireplant Guitars FP-1 so much that they asked us if it was okay to autograph one of them to raise money for the LA Youth Network (LAYN) at "LAYN Rocks!" (of course we obliged). The proceeds from the Fireplant FP-1 at the private VIP auction at the charity concert raised $3,000 to help the LA Youth Network build a computer lab for kids. 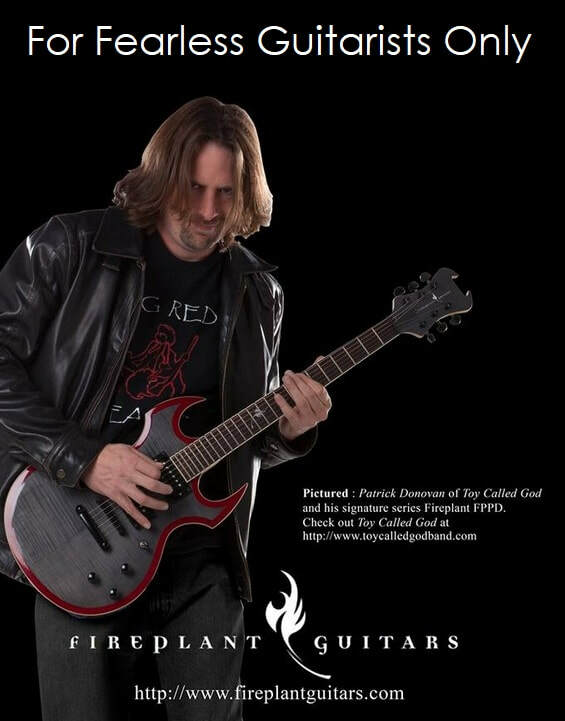 Patrick Donovan of Toy Called God recently went into the recording studio with a PRS and a Fireplant FP-1. The sound technician asked him to plug in the PRS first, expecting it to be the better guitar. Not completely satisfied with the PRS, he then asked Patrick to plug in the Fireplant FP-1. Upon hearing it, the Sound Technician's exact words were something to effect of, "F*ck yeah! That's the one we're using!" Patrick informed us the next day that his Fireplant FP-1 (again: the best guitar under $1000) beat out a $3,000 PRS in the recording studio. Our exact words were also something to the effect of, "F*ck yeah!" Toy Called God guitarist, Patrick Donovan's custom Fireplant Guitars FP-1 in see-thru black, flame maple top and blood-red trim. 24-frets of pure mayhem - for fearless guitarists only. 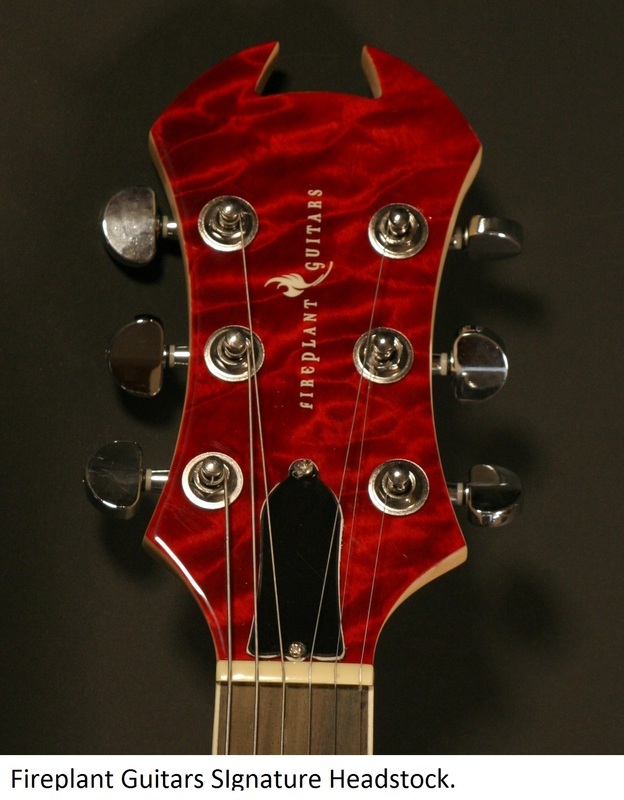 The Fireplant Guitars FP-1 is the original, trademarked flagship model of the Fireplant Custom Electric Guitars line. Possibly the best heavy metal guitar ever, and definitely the best guitar under $1000, the Fireplant FP-1 combines the look, feel and attitude of today's gigging metal guitarists in all of our custom electric guitars. If you're looking to buy a new guitar, you can even customize your own FP-1. 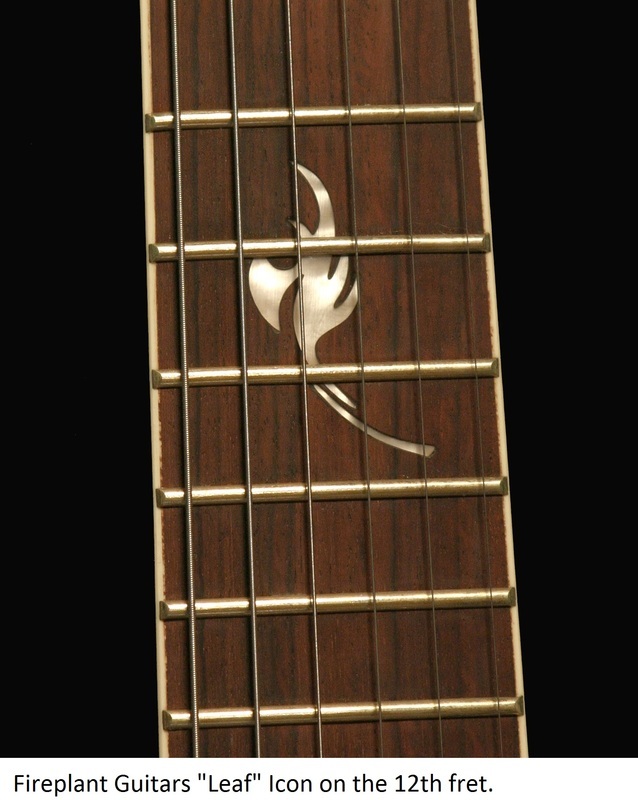 The Fireplant FP-1 is available as a 6- or 7 string guitar, 22 or 24 frets, fixed bridge or tremolo, you can customize your pickups and more - and it's also available as a custom bass guitar, too. 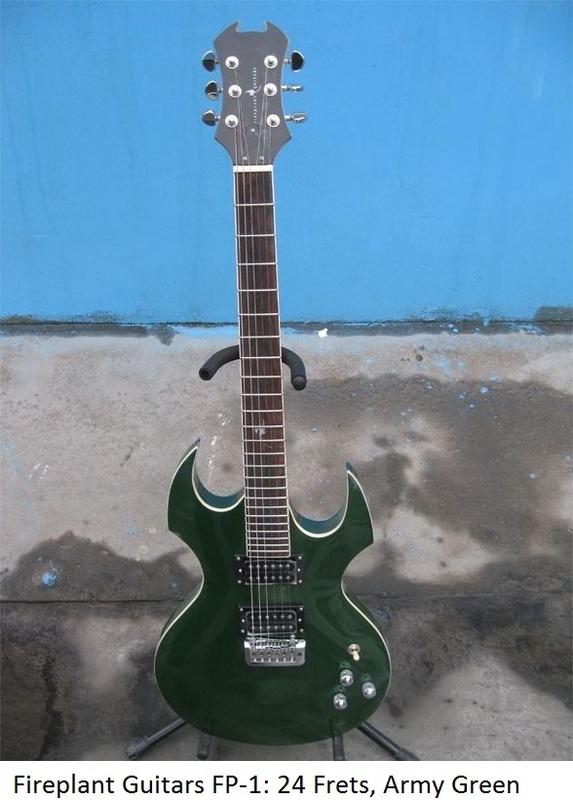 The Fireplant Guitars FP-1 is just a sick guitar with the gigging musician in mind. Email us to have a custom electric guitar built to your specs. Custom Fireplant FP-1 in See-Thru Red on Quilted Maple. Want more info on how to order a custom Fireplant Guitar? We can do custom colors, custom finishes, 22 frets, 24 frets, fixed bridge, tremolo bridge - all with a free hardshell case. If you have questions or want a quote on your own custom electric guitar, email us HERE. • Quilted Maple Top, Flame Maple Top or solid paint colors. 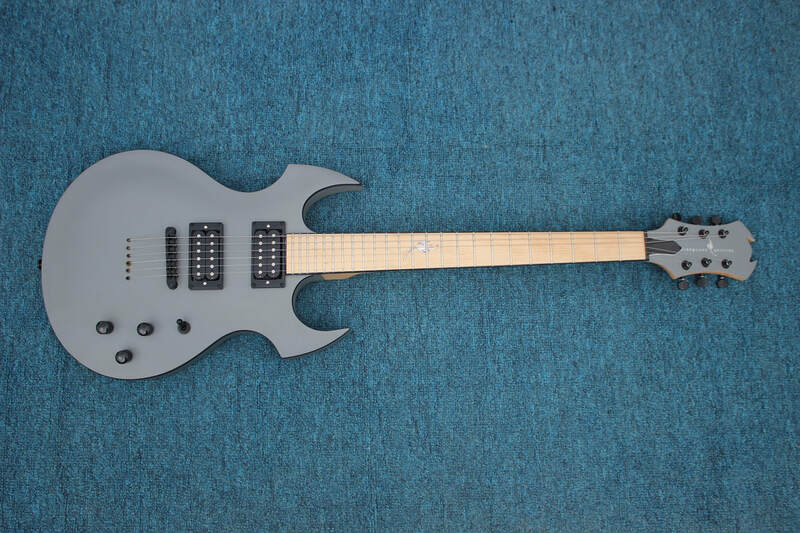 FIreplant FP-1: Custom electric guitars and basses for you freaky lefties, too!